« The Vortex Jazz Club is a volunteer-led, not-for-profit organization, based in theheart of Dalston providing a platform for music outside of the mainstream,including jazz, improvised and experimental music. Now celebrating its 25th birthday, the core of the club’s activityrelates to the programme of gigs at its 100 capacity venue within the DalstonCulture House, as well as other larger spaces, which adds up to nearly 400performances a year. 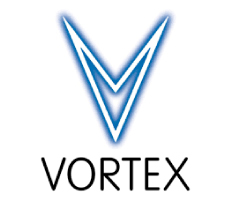 For 25 years The Vortex has maintained a reputation for innovative programmingand has provided a platform for both emerging and established talent inthe jazz, experimental and contemporary music scene and is proud of an internationalreputation that belies the venue’s size. It is consistently selected as one of the top 150 jazz clubs in the worldby Downbeat magazine, was short-listed by Music Week as one of the bestlive promoters of 2011 and voted into the top 10 London venues by readersof Time Out in 2012. We have been lucky enough to engender a strong loyalty from musicians,staff and fans alike, as demonstrated by the number of world class musicianswho regularly return to the club, especially from the UK, and also the loyaltyof so many who attend the concerts. The ability to work closely with a number of musicians as their careershave developed is a particular source of pride, including Mercury nominatedbands such as Polar Bear and Portico Quartet. Meanwhile, innovative saxophonistEvan Parker has been playing a monthly residency at the Vortex for over15 years. We are not in receipt of any regular source of public funding. The clubhas survived by keeping its costs as low as possible and sourcing individualgrants and donations where available. Admission prices are kept reasonable, generally in the range of £8 to £15, and any profits are put back into the club to benefit theartists and audience alike. Every night is staffed by volunteers (includingtechnical staff) and all the directors of the club are unpaid, playingan active role in the club’s activities and development.